WKRN web staff - NASHVILLE, Tenn. (WKRN) - We all know how bad traffic in Middle Tennessee can get, but how does it stack up to the rest of country? A new study done by INRIX shows that Nashville's growth is obviously challenging the city's infrastructure when it comes to traffic. 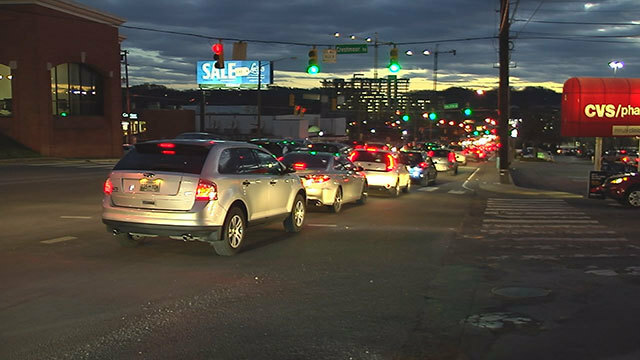 The study shows Nashville drivers spend more than 33 hours sitting in traffic. That's good enough, or bad enough, for the 23rd most in the country. The worst cities for traffic in the U.S. are Los Angeles, New York, San Francisco, Atlanta and Miami. Drivers in LA spend more than 100 hours a year sitting in traffic. Worldwide, LA holds on to the top spot for most congested cities. Nashville on the other hand falls to 126 when you factor in the rest of the world. You can read the full report on INRIX's website.